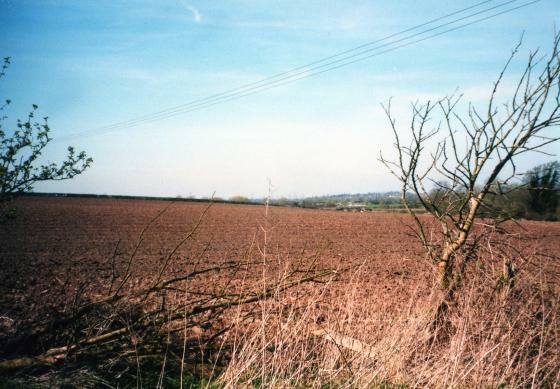 Looking over the field in February 2002. Soon to become the site of a huge paper production and distribution centre. 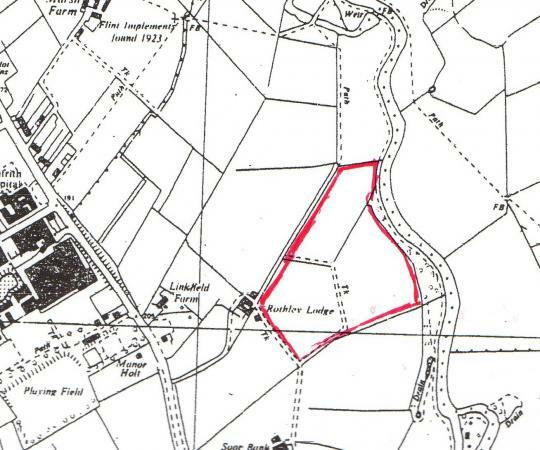 In April 2004 it was revealed that a paper production and distribution centre would be built on the Rothley Lodge Farm taking up 43,477 square metres of farmland. Outline planning permission was given in 2002 and due to be given final approval in 2004. The Leicester Mercury Newspaper archives dated 16th March 2002, 18th March 2002 and 21st April 2004 will give historians the data. An archaeological survey was carried out in 2004 and evidence of extensive Bronze Age Activity was found including a series of linear features, pits, postholes and stakeholes, one of which contained a cremation. 32 acres of the site were offered to Charnwood Borough Council as a wildlife site as part of the deal. £122,000 has been allocated for this project.